Here at Organic Air Duct Cleaning we know that you and your loved ones must first and foremost be healthy if you wish to enjoy life to its greatest potential. On top of leading to disease, premature death, and various other complications, being unhealthy can also be very costly in the long run. This is due to all of the medical expenses that come with having health complications. Anyone who has a relative with breathing complications such as asthma knows how costly those doctor visits, and how dreadful those nightly asthma attacks can be. As part of our commitment to help our community not only save money in the long run, but also live life to its fullest, our team at Organic Air Duct Cleaning offers a variety of services to help ensure the air you and your loved one’s breath is clean and toxic free. Air pollution is a rapidly increasing problem that households face in the United States. It is known that now more than ever households generally have more polluted air than they used to. Breathing in dirty, polluted air is dangerous for your health, the health of your close relatives, and even the health of your pets. This is why it is important to make sure the air you breathe is clean and pollution free. Here at Organic Air Duct Cleaning our team is committed to providing peace of mind while facilitating a healthy lifestyle for our local community. We do this so that our community can thrive in the long run due to minimizing health complications and lowering long term expenses. 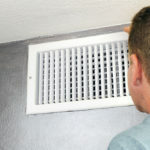 The air you breath may get circulated through your ventilation systems more than 10 times in one day. With each circulation more dirt and debris gets trapped in your heating and cooling systems. This is not only dangerous for your health, but also makes your ventilation systems run less efficiently. As part of our commitment to help our local community thrive, and cut costs in the long run, we clean these systems using only non-toxic, natural, and organic certified cleaning products. Cleaning these systems will go a long way in making sure that these systems are running at full efficiency, saving you money in the long run.